A missionary doctor pines for his native New England even as he succumbs to the vibrant chaos of nineteenth-century Siam. A post-World War II society woman marries, mothers, and holds court, little suspecting her solitary fate. A jazz pianist in the age of rock, haunted by his own ghosts, is summoned to appease the house's resident spirits. In the present, a young woman tries to outpace the long shadow of her political past. And in a New Krungthep yet to come, savvy teenagers row tourists past landmarks of the drowned old city they themselves do not remember. Time collapses as these lives collide and converge, linked by the forces voraciously making and remaking the amphibious, ever-morphing capital itself. 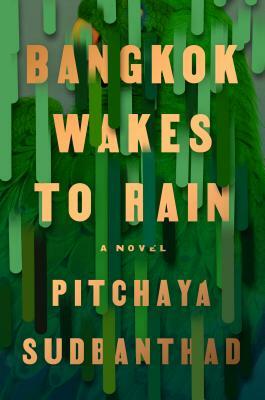 Bangkok Wakes to Rain is an elegy for what time erases and a love song to all that persists, yearning, into the unknowable future. Pitchaya Sudbanthad grew up in Thailand, Saudi Arabia, and the American South. He's a contributing writer at The Morning News and has received fellowships in fiction writing from the New York Foundation for the Arts (NYFA) and the MacDowell Colony. "A bold and tender novel with a simple, ingenious conceit --the stories a house can contain, from a city's colonial past to its antediluvian future. Sudbanthad arrives to us already a masterful innovator of the form—a startlingly original debut."